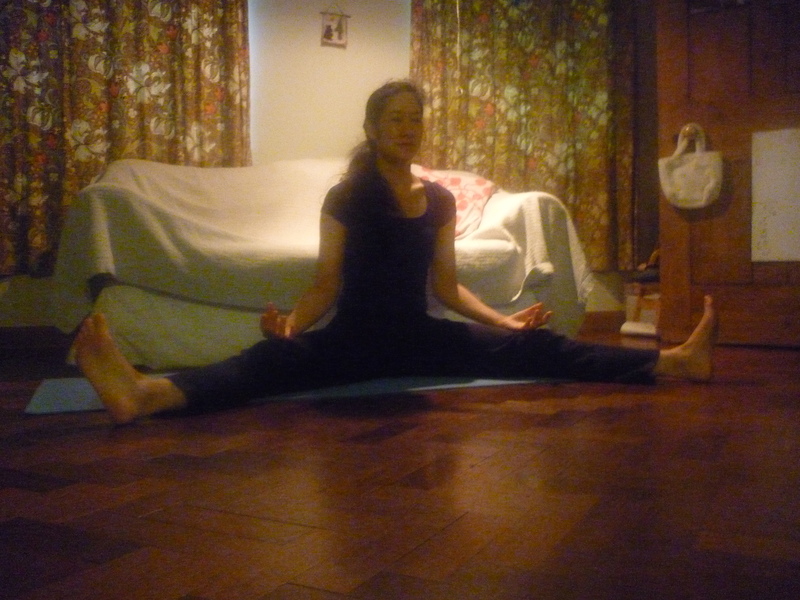 From sitting – gentle side bends and rotation of the spine both ways. 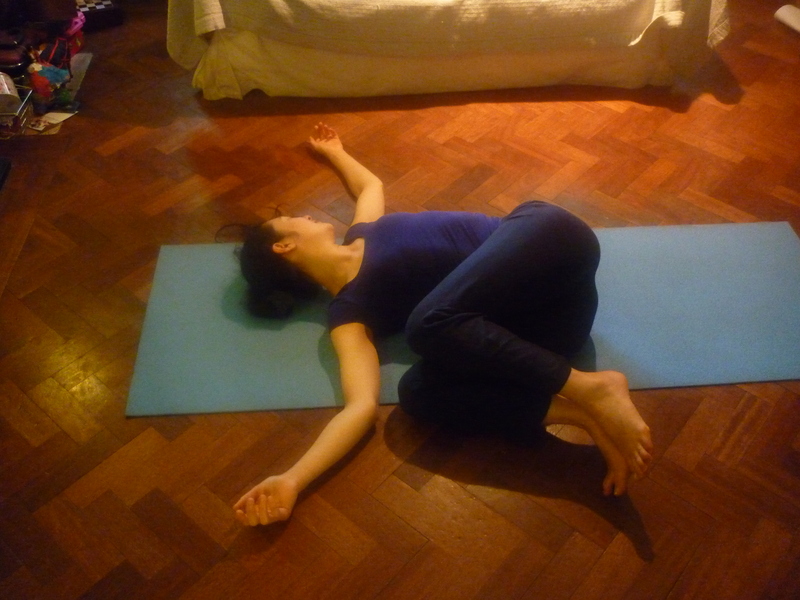 Then Savasana with knees bent alternating with the beginnings of Setu Bhandasana – getting the lumber spine onto the ground and creating space for the lower vertebrae. Also a little bit of Little Boat – when she can manage it. I’ve asked her to try and do these movements 2 or 3 times a day. I think she started with 3 times and her back quickly improved – but then it went down to 2 and now – because she’s very busy (!) she usually only manages once a day. Her back isn’t as good as when she first started the exercises – but much better than when she was doing nothing. Tadasana is one of the basic standing postures in yoga. 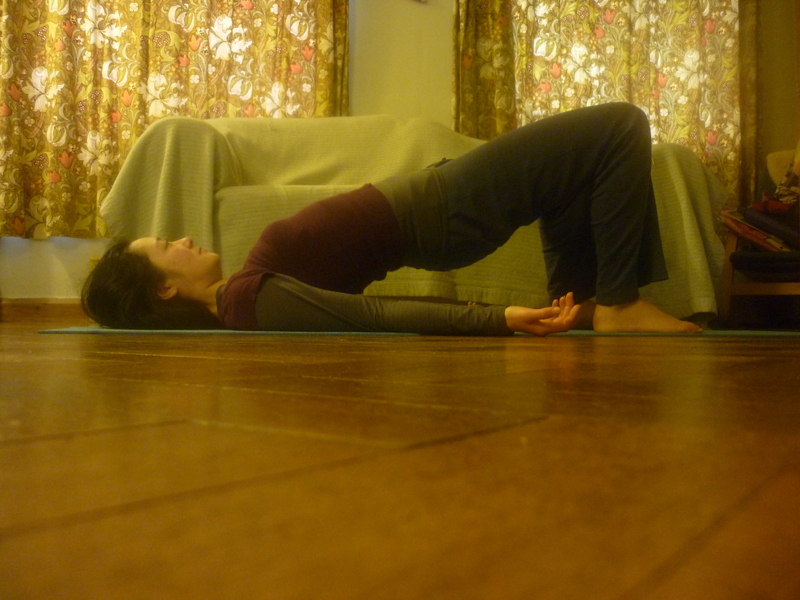 BENEFITS: Good for lengthening and realigning the spine. May ease backache. Can improve leg and abdominal tone. CONTRAINDICATIONS: Tadasana seems to be one of the safest postures to do – but as with all the poses of the week – only practice if you feel well and if the position feels comfortable for you to do.